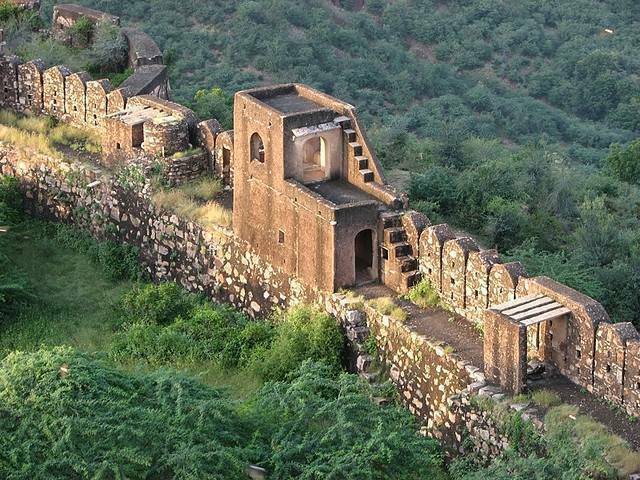 Star Fort, as it is also known, Taragarh Fort hangs on a side of a hill overlooking the main city of Bundi. Having stood since 1354, the structure is mostly ramshackle. Lieutenant Colonel James Tod said of it - “the coup d’oeil of the castellated palace of Bundi, from whichever side you approach it, is the most striking in India”. Built in a Rajput style, it’s fairly rare with curved roofs and ornamental balustrades. The palace houses some fine examples of Rajput paintings and is regarded as a ‘must see’. During the peak of the forts history, it was renowned for underground tunnels weaving into the hills.